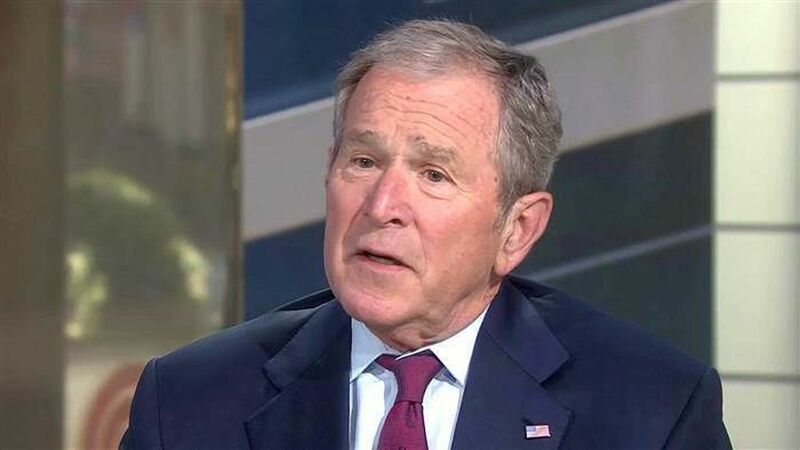 George W. Bush on Russia: "we all need answers"
On freedom of religion: "I think it's very important for all of us to recognize that one of our great strengths is for people to be able to worship the way they want to or not worship at all. A bedrock of our freedom is the right to worship freely." On Russia: "I think we all need answers...if [Senate Intelligence Committee Chair Richard Burr] were to recommend a special prosecutor, then it'd have a lot more credibility with me." On Trump's immigration ban: "I am for an immigration policy that's welcoming and upholds the law." On the media: "I consider the media to be indispensable to democracy…Power can be very addictive. It can be corrosive, and it's important for the media to hold people to account." On presidential nostalgia: "People ask me, 'Do you miss being president?' The answer's not really, but I miss saluting people who volunteer to wear the uniform."